Running at high altitude is something that sounds simple but if done improperly can cause problems. If unprepared, the difference between running in low altitude vs. high altitude can be difficult. Especially in a mountain area like Colorado where the altitude is high, being mindful of your body is important. When running, water, like breathing, is a very essential component of making certain that you are running safe. So having clean water in the Colorado area that can help keep you hydrated without slowing you down is very important. 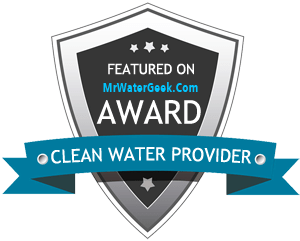 Using a good Denver water filtration system can be a great step to be assured that you have the kind of water that you will need on any kind of run. Clean, drinkable water is important in a high altitude run. Another option for good water is to have Denver water delivery; this is another hassle free option to get some of the best water available. Getting Colorado bottled water delivery can insure that you have the best form of hydration possible. All that you need to do is get your gear, fill up your water bottles, and you are ready to go have a great adventure. Water delivery can save the apprehension of unfiltered water wherever you find it on the trail. Because bad water can be more of a hindrance than a help when doing a climbing-like run at high altitude. Water issues can make a big difference when running. If an athlete is hydrated improperly it can slow down their time as well as possibly make them ill while trying to do their run. What Is The Correct Level Of Hydration? According to the Institute of Medicine, women need at least 9 eight ounce cups a day, for men it is 13 eight ounce cups. But those water levels do not include exertion. Then it is recommended to drink 8 ounces every half hour of exertion. However, there is also a different set of rules for high altitude. When running at high altitude, the rule of thumb is to drink twice as much water as an athlete would normally drink at sea level. In addition, when you are running in hot and humid climates your body will have a harder time getting your temperature down through sweat. In cold areas, there is less moisture in the air, so you will need to do more to replenish your fluids you have lost. A good way to tell that you have a good level of hydration is your sweat level. If you are sweating you know that you are at the right hydration level. If you are not sweating that means your body is holding in the heat in your body rather than trying to cool you down. If you are sweating too much then you run the risk of dehydration. Dehydration and altitude sickness are real life threatening issues that can happen, especially if one is unused to high altitude runs. Acclimating yourself to high altitudes in an important step, and understanding how much water your body will need while doing your run is a crucial part of that. When undertaking a new experience sometimes removing the roadblocks that may cause issues is a simple way to make sure nothing happens. That way you can just relish trying something new. What Are Some Of The Pitfalls Of Low Altitude To High Altitude Running? Proper hydration, being comfortable in the new environment, knowing your limits, understanding the things that you will have to overcome are all things that should be thought about when starting a high altitude run. These things are especially important if an athlete is planning on running from a low altitude to a high altitude route. Keeping your water intake in the proper proportions is very important. Over hydration can happen, but it is very rare. People can get sick from drinking too much water after they start to feel thirsty while running. But this is really a symptom of dehydration. So drinking good clean water in moderation is the best way to stay feeling your best while running in different altitudes. That is why you should try and make certain that you have the healthiest water available. Using water delivery as your main water source to make certain that you have the best water while doing a difficult run. This means that you can focus on the fun and the sense of accomplishment that comes with doing what you love. By making sure that you are safe while doing something that you enjoy like running, it is a great way to give you the ability to keep doing it.